Get ready for some bracing feats of athleticism: Gonzo Long Island City meat palace M. Wells Steakhouse will host a — what else? 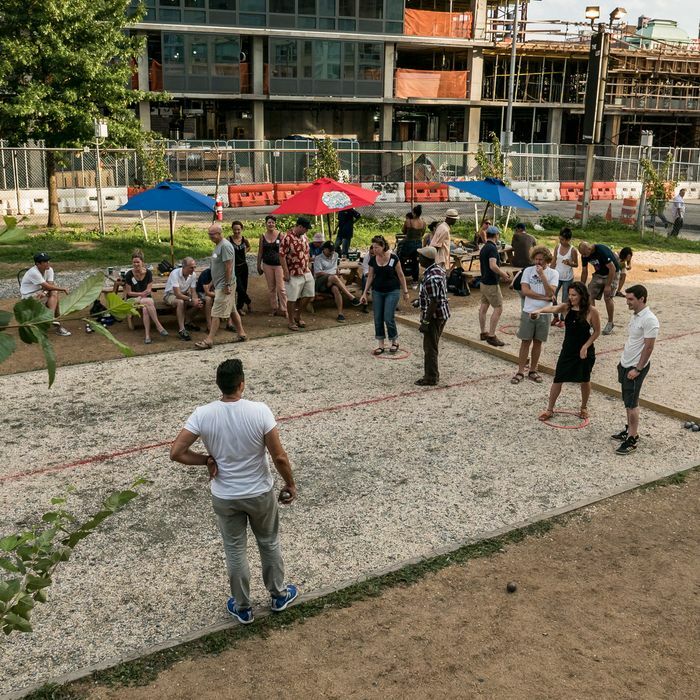 — world-class pétanque tournament (which, for the uninitiated, is sort of like bocce or lawn bowling, but French) at their Crescent Street courts this Thursday. Along with top local players, the restaurant is welcoming the three players currently in possession of the most prestigious singles titles in the world: Dylan Rocher (French Singles and World Triples Champion) and Damien Hureau (Mondial Millau Singles Champion) from France and Belgium’s Claudy Weibel (World Singles Champion). The champions will strut their stuff during an exhibition that starts at 4 p.m., after which the courts will open up to anyone who thinks they’ve got it in them to compete. To get in on the action, all you’ve got to do is email the M. Wells team at info@magasinwells.com. the grub street diet 4/12/2019 at 8:00 a.m.